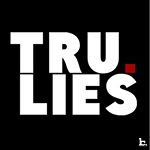 Kendrick Lamar is certainly blazin' a trail and leaving a mark in the music industry as well as the minds of this generation. 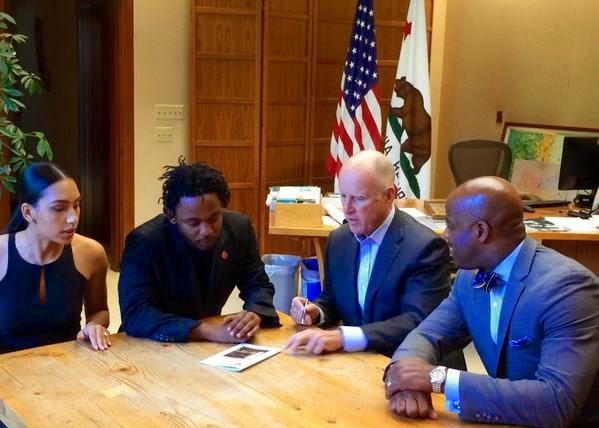 No one can argue that his music is leaving a positive mark on the youth and he's now being honored for that. 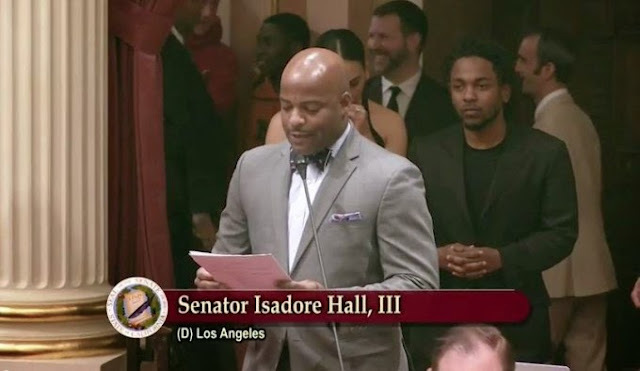 Via HipHopWired: Kendrick Lamar is an undisputed leader of the new generation and the California State Senate made sure to recognize the Compton native for the positivity his music exudes to the youthful listeners. He received the 35th Generational Icon Award yesterday, May 11, for his willingness to give back to his community even when superstardom made it easy to do the opposite. 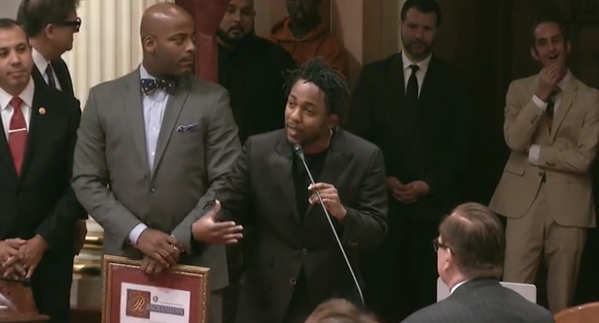 opportunity would be to give back to my community off of what I do in music,” K. Dot said, addressing the Senate floor and media. “So in order for me to do that from a city to a state point and have these young kids looking at me as some type of inspiration is really an honor and I thank you from the bottom of my heart for honoring today. The award was presented by state Senator Isadore Hall III, who hails from Compton himself. Later one, the two met with Governor of California Jerry Brown. 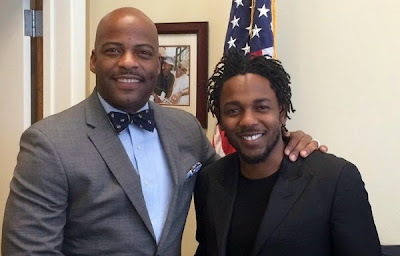 The prominent MC’s second studio album, To Pimp a Butterfly, was championed for its detailing of the sociological strife and mental anguish that plagues many African-American communities today. It debuted at No. 1 on the Billboard Charts and has since been certified gold. 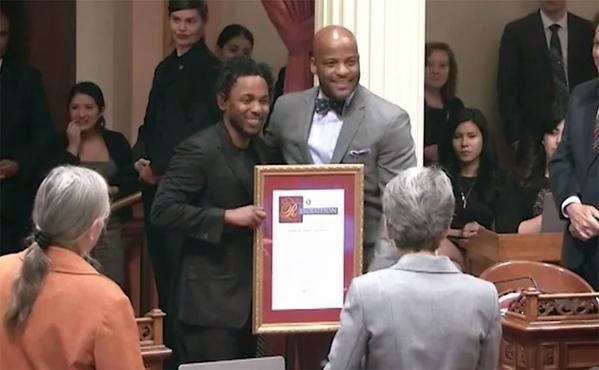 CONGRATS KENDRICK AND KEEP BEING INFLUENTIAL!! !